Many home preservers love steam canners (such as the Victorio), because they use less water and less energy and take less time to preheat than boiling-water canners. For at least two decades, however, the USDA and its Extension employees have warned that steam canners may be dangerous. This has kept a lot of people from buying steam canners and has made the people who swear by the devices at least a tad nervous. A 2003 position paper published by Oregon State University detailed the concerns: Cold spots might occur between the jars or under the dome; steam might lift the lid of the canner, which would allow cold air to enter; jars might break or heat unevenly; the user might mistake cool vapor for steam and so might underprocess the jars; the user might be burned by steam. The fears of breaking jars and uneven heating always seemed bogus to me. The supposed problem was that the jars weren’t separated by a rack. Racks that come in boiling-water canners are usually divided into sections, one per jar, but many people do their boiling-water processing with unsectioned cake racks or pressure-canner racks or even with towels instead of racks. Most home preservers know better than to jam their jars tightly together in a canner. I’ve never used a steam canner myself, but I’m pretty sure that the vent holes in the side must keep the lid from lifting off like an umbrella in the wind. Steam burns seem like a true risk with steam canners, but you get a faceful of steam if you’re careless in opening a boiling-water canner, too. Now Dr. Barbara Ingham, of the University Wisconsin-Madison, has actually done some research on steam canners, and she has found they work pretty well. She has convinced the National Center for Home Food Preservation, the USDA division that oversees home canning, to approve the use of steam canners. Dr. Ingham, however, identified one important limitation of steam canners: They hold too little water to allow for processing times of more than 45 minutes. This presents no problem for pickles and jams, but the USDA recommends processing tomatoes for long periods, from 35 to 85 minutes (or even longer at high altitudes), depending on how the tomatoes are prepared. You could use a steam canner for tomato sauce or juice, but a boiling-water canner or even a pressure canner is probably a better choice. If the boiling is too vigorous in a steam canner, Dr. Ingham found, the pan can boil dry in twenty minutes. Use USDA recipes; don’t rely on the instructions that come with the canner. Fill the jars with hot liquid, and put them into the canner while they are still hot. Make sure that a 6- to 8-inch jet of steam streams from the vent holes throughout the processing period. If you’re canning at an altitude of 1,000 feet or higher, you should process your jars longer, just as you would in a boiling-water bath. Let the jars cool at room temperature, as usual. According to Jeanne Brandt, Family and Community Health director for Oregon State University Extension, OSU still doesn’t like steam canners. But I think I might give one a try. 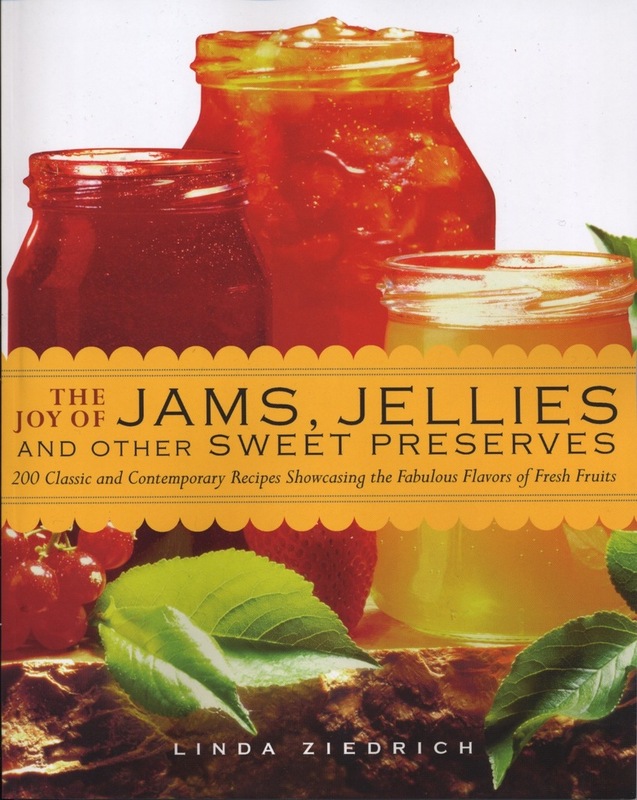 I grow, cook, preserve, and write about food in Oregon's Willamette Valley. This entry was posted in Preserving science and tagged Barbara Ingham, boiling-water processing, canning, Extension, National Center for Home Food Preservation, steam canners, USDA. Bookmark the permalink. 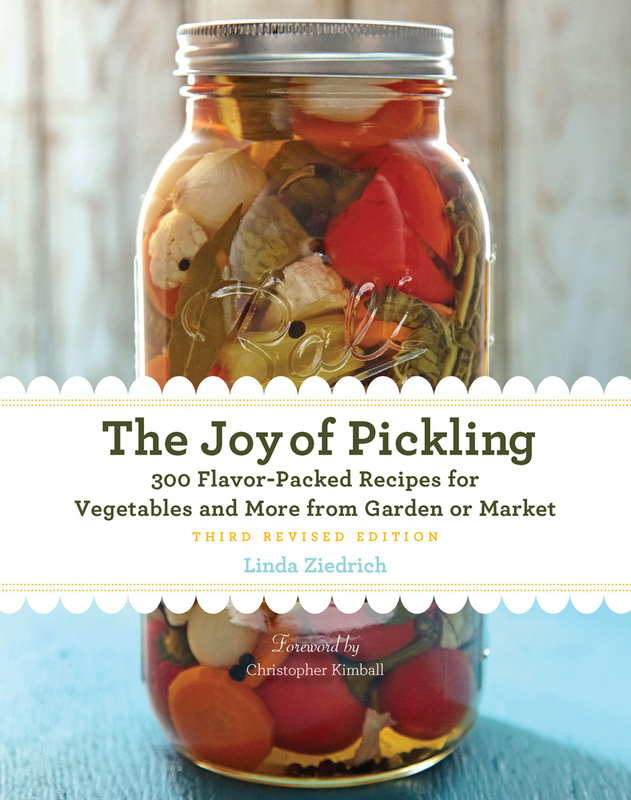 Looking forward to the third edition of Pickling! Randal, thanks so much for your note. It hadn’t occurred to me that you could use a steam canner in place of a general steamer. Dr. Ingham was my instructor when I did the Master Food Preserver certification in 2010 so I ran out to pick one up as soon as she published. I love working with my steam canner! We have successfully used a steam canner for over 10 years and never had an issue with food we canned in this manner. We can anything that could go into a boiling water bath canner with much less mess, trouble, and energy. We have never run out of water when canning tomatoes, even when using it up to 45 minutes. I agree that the steam that comes out of the vent holes could burn you, however the danger is fairly obvious as you can see the steam clearly as it comes out. Thanks for the testimonial, Greg! Thanks for the great info! I should have bought one when I hurt my shoulder, I didn’t do much canning last year. But I bought one when I saw it on sale again a few months ago, making lilac jelly today, will try it out on that and let you know! I didn’t get the Victorio, just the basic one (Hi, Randal!). Lilac jelly! That’s new to me. Did the aroma come through well? Hi Linda, I’m a Master Food Preserver, and I’ve been using my steam canner for at least 25 years! LOL, yeah, I’m a rebel! Here’s something for everyone to be mindful of: I’ve seen that since they’ve finally been given a green light, new products have hit the market place, specifically the Victorio. My old fashion steam canner comes with NO gauge on top, and two (2) vent holes on opposite sides of the dome lid. When we used the new Victorio pot in a class we quickly noticed that since it had only one vent hole the lid did indeed lift and belch steam from under the dome during processing. This is not good as each time it does that cold air is sucked into the dome and the temperature drops. There has been some misinformation making the rounds that since this new pot and the new approval seemed to come at the same time that it is being assumed that this Victorio pot is the approved steam canner since it has a gauge on top. It clearly states in the research paper that while they were aware of the gauge model, they DID NOT TEST IT. I think they need to make some kind of a statement that makes it clear that the lid must have two (2) vent holes so it doesn’t belch steam to maintain a constant temperature. I love mine because 2 can fit diagonally on the stove and I can process twice as fast with far less heat building up in the kitchen as with a boiling water canner. I put a few marbles in the bottom of the water pan so the audible rattling is my warning that the water is about to run out. If water does indeed run out, you cannot fill and continue. You must start the timer over again after filling. I’ve never had mind run out of water, even with tomatoes, but I’m not above 1000 feet. I keep the water simmering in the pan while filling jars, and keep a tea kettle boiling. After I’ve placed the last jar, I top off the water with boiling water from the kettle and then place the dome.The water comes to a boil faster this way. My old pot said to fill water to the handle, but I’ve noticed that some of the newer pots say to add water to just above the rack, which adds almost 2-3 cups more water, which is what I now do and never run out of water. The last thing to be mindful of is that for pickles that are to be processed using the low 180-185 F pasteurization method you can’t use the steam canner. Steam is 212 degrees F and will over process your pickles. You must use a water bath canner with a jelly thermometer in place to keep water at a gentle simmer to stay below 185 F.
Stacy, thanks for pointing out that low-temperature pasteurization won’t work in a steam canner and for sharing the idea of using marbles to warn when the water is low. As for the Victorio, I chose it as an example at random, without knowing about the gauge or the number of vent holes. I’m guessing that the makers will soon get the message, if they haven’t already, that a second vent hole should be added. In the meantime, perhaps it’s not too difficult for users to create a second hole themselves. Many thanks for sharing your experience. Hi Stacy, my stainless steel Victorio with the gauge on top has a glass lid, and 2 holes in the glass lid. It doesn’t lift and it doesn’t belch steam. Here’s a photo showing the two holes in the Victorio lid. https://gyazo.com/47f33911d1a6c27f8a7301372f2fbed9 (I asked Dr Ingham about that model before purchasing it.) Perhaps you got an earlier model? Mine is from last June, June 2015. I haven’t seen the glass-lidded model. Victorio also makes an all-aluminum model, with a single vent. People with glass-top stoves must purchase Victorio’s stainless model https://gyazo.com/39f6aeec6448afcd905ef5b96d4b0ce4 ; it’s the only model Victorio certifies for glass-top stoves. It’s owing to the wavy way the bottom is constructed on aluminum models. And Victorio is the only manufacturer making steam canners at present certified for smooth tops. The gauge actually monitors the temperature for you quite well, so even if pressure did build up thus superheating the steam over 100 C and causing it to belch off some of that excess temperature (though it doesn’t belch) in a micro burst of what’s known as “superheated steam”, the temperature gauge would let you know if there had been a mission critical drop in temperature. Hope that helps someone. Encouraged by my readers’ comments, I have bought myself a Victorio aluminum steam canner, the traditional model, with the low pan and the deep lid. The lid came with a dial gauge and just one vent hole. Yesterday, I filled the pan with water to the specified level (that is, to the handle screws, or just over the rack). I set the canner on a 17,500-BTU gas burner with the vent hole in the back, in accordance with the instructions. I turned the heat to high. Almost immediately, the water began boiling audibly and a long jet of steam began shooting from the vent hole. Several minutes were required, however, to reach the safe temperature zone indicated on the dial. I didn’t have the nerve to poke a thermometer into the steam vent; that would seem like asking for a burn. I kept the canner over high heat for 10 minutes while I stood watch. Never did the lid lift, rattle, or bounce. The needle on the dial didn’t fluctuate, either. When I turned off the heat and removed the lid, I found that nearly half the water had evaporated. My conclusions: (1) I don’t need to drill a second hole in the lid. (2) The Victorio steam canner should work well for jams and pickles, unless the pickles would have a better texture with low-temperature pasteurization. (3) After the long warm-up period required to reach the safe zone indicated on the dial, the pan really could boil dry in 20 minutes or so. I therefore doubt I’ll use this canner for processing tomatoes. For more information on steam canning, see the study on which the USDA has based its approval: http://www.foodprotection.org/files/food-protection-trends/May-Jun-15-willmore.pdf. I want to be sure that everyone reading this post understands that Randal Oulton’s steam canner (see his comment of May 17) doesn’t look like the steam canners you have probably seen in the past. In fact, the stainless-steel, glass-lidded “multi-use” Victorio canner looks almost exactly like the Ball Elite boiling-water canner (http://www.freshpreservingstore.com/ball-collection-elite-stainless-steel-water-bath-canner-1033968VM.html#start=2), except that the Victorio has a temperature gauge on top. As you might guess, the Victorio multi-use canner is intended for either boiling-water or steam canning. Victorio makes an almost identical model in aluminum as well as a traditional shallow-panned, deep-lidded aluminum model. You can see all three of the Victorio steam canners here: http://victorio.info/products.html. I love my victorio stainless steel multi use canner. I have a couple of the old aluminum steam canners that I quit using when there were safety concerns. The new one with the dial tells you when to start timing for your altitude. It does take longer to get to the correct temperature than the old ones when you started timing with the steam coming out, which to me means incorrect timing and temperature were the problems with the early steam canners. The new multi use canner takes all the guesswork out. Works great on my glass top. It is also a great boiling water bath canner. Thanks for the report, Linda. Tammy, because winter squash is so dense, the USDA recommends against canning it in a boiling-water bath or steam canner. My question is whether or not you can steam can in a pressure canner with the weight off. I can’t find an answer anywhere, and I’m planning on phoning a University of Wisconsin extension office; but I figured I’d ask here, too, since this thread is so recent. “More recent studies have been conducted on low-water level steam canning with home canners. Harris and Davis (1976) compared product heating rates and heating efficiencies resulting from the use of different water levels in a pressure canner but operated at atmospheric pressure. Their method consisted of sealing the lid on a pressure canner with the vent open. Their hypothesis considered that “products will heat as well with a low level of boiling water as with a high level, provided the canning vessel is equipped wit a close fitting cover to hold saturated steam around and over the jars” (Harris and Davis, 1976). The study reached conclusions that high water levels in canning (i.e., complete immersion of jars) was wasteful of heat energy, limits the choice of equipment and is cumbersome for the operator. Using tomato juice as the canned product, low-water levels in the processing were found to result in heating the product as fast as water levels one inch over jar tops. So, the author of the USDA report found the study of steam canning in a pressure canner inadequate. But this report predates the USDA’s approval of vented steam canners. if you look at the USDA-approved Victorio multiuse steam canner–intended for both steam and water-bath canning–you have to ask yourself, What’s the difference? If there’s no steam gauge (as there is with Victorio models), then they want you to hang a candy thermometer out of a hole to monitor the temperature — that would be hard to do without drilling a hole in your pressure canner. You’d need to figure out two holes, I reckon: one to let excess steam escape, and the other to stick that thermometer in. But that’s all just me theorizing. You’d want to ask Dr Ingham directly for her opinion. Linda, interesting find about that earlier test on steam canning in a PC. Can i use my electric roaster as a steam canner for high acid foods? Electric roasters haven’t been studied, much less approved, for steam canning, so the quick answer is no. Whether they might serve the purpose is harder for me to say, since I’ve never used an electric roaster. I know that you can boil water in them and that they come with some kind of rack, but I don’t think their lids are vented. I have a Nesco roaster. It does have a temperature setting (400˚F) for steaming, but I don’t think it’s meant for steam canning. The lid doesn’t have vent holes, so there would be no way to test the temperature while keeping the lid on. Also, with the rack in it, you could fit pint jars in it but not quarts; it’s not that deep. Thanks for that information, Carol. Most steam canners won’t accommodate quart jars, but it sounds as if the roaster would be a poor substitute regardless. You’re welcome, Linda. I have a steam canner with a high enough dome lid that I could put quart jars in, although I haven’t.